“Several people are hunted by a cruel serial killer who kills his victims in their dreams. 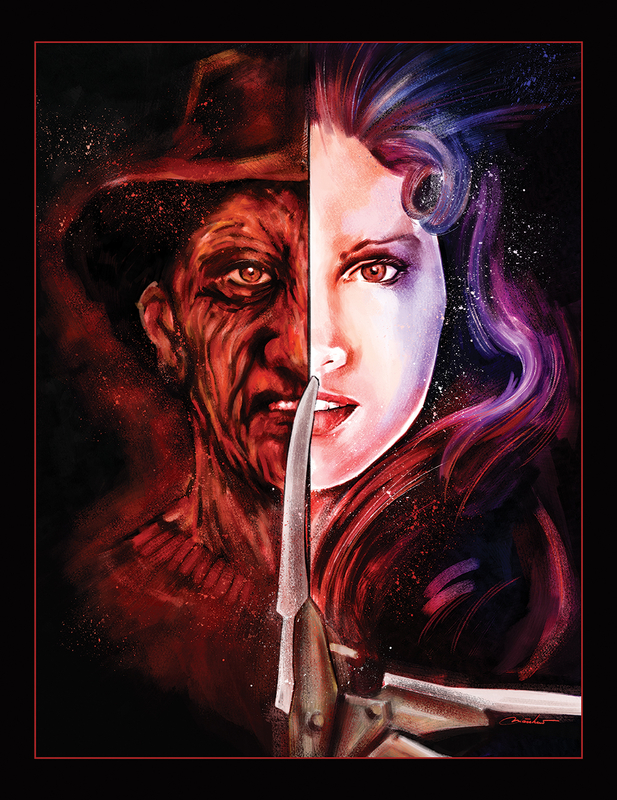 While the survivors are trying to find the reason for being chosen, the murderer won’t lose any chance to kill them as soon as they fall asleep.” The fourth in the series of “Final Girls & Cinema Survivors” – paying homage to some of the most iconic heroes in the horror and film genre. Printed on fine art, heavyweight stock with archival inks.